Official advice has poured cold water on the prospect of further retirement savings incentives in NZ, according to background documents published by the Tax Working Group (TWG) last week. Treasury-supplied analysis says shifting to tax-preferred superannuation environment – similar to Australia – would come with a hefty fiscal cost, provide greater benefit to high-income earners and may even reduce national long-term savings. The TWG advice also points out that reducing tax on retirement financial assets would create complex ‘boundary’ issues. “Because a preferred retirements savings regime would almost certainly be capped with maximum contributions to manage the fiscal cost, there would be new boundaries introduced as some assets would necessarily be owned outside of the concessionary regime,” the TWG paper says. The Treasury analysis also warns reducing the relative attractiveness of rental property investment compared to financial assets by lowering “capital income taxes” across the board would likely increase wealth inequality in NZ. In general, the Treasury advice favours the imposition of a broader capital gains tax (CGT) rather than ‘wealth taxes’ that target those with net assets above a certain level. “… wealth taxes tend to have high cost-yield ratios (that is, wealth taxes are costly to administer relative to the amount of revenue they raise) and often do not produce the redistributive effects that are intended,” the report says. Treasury intends to supply a more detailed CGT options paper to the TWG while advising the group to “indicate” if it would like further information on wealth taxes, retirement savings incentives and the “impact of inflation on taxing capital income”. In a separate paper, Treasury also advises against removing GST on consumer items such as food in a bid to help lower income groups. However, the paper notes the two current major GST exemptions – on rental accommodation and financial services – should remain in place despite some distortionary effects. “… financial services are undertaxed compared with other goods and services and creates some inefficiencies, in particular a bias for financial service providers towards in-sourcing (self-supplying) their inputs,” Treasury says. The TWG document dump also includes a 2014 Inland Revenue Department (IRD) review of how NZ’s 220 or so richest people pay tax. According to the IRD study, high wealth individuals (HWI) – defined as having over $50 million in net assets – in NZ did not appear to be in breach of tax obligation. But the IRD report says “… we do not feel we have found evidence that ‘wealth is simply a store of tax paid income’”. “While in absolute terms a large amount of wealth is taxed as it accrues such as business profits, or passive income our data shows that the majority of tax (83%) is paid by a minority of the [HWI] population (25%) with the great majority of wealth being generated by realised and unrealised gains on capital assets,” the IRD review says. The report says HWIs can minimise tax by: claiming deductions while building capital assets; offsetting previous losses against current income streams; paying below market rates for personal services supplied to associated entities; and, “making fully deductible contributions to charities controlled by the HWI themselves”. 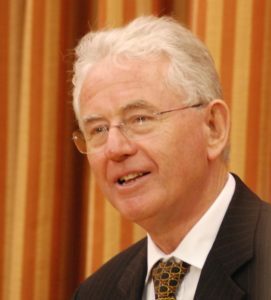 The Sir Michael Cullen-led TWG is due to file an interim report by September that will take into account the recent Treasury-built ‘Living Standards Framework’, which references four types of ‘capital’ – physical/financial, human, social, and natural. As well as papers produced by the Treasury advisory unit (formally known as the TWG Secretariat), the Cullen group would also consider feedback from 6,700 public submissions before recommending any tax reforms. The Treasury advice reflected “the preliminary views of the Secretariat and does not necessarily represent the views of the Group or the Government”.